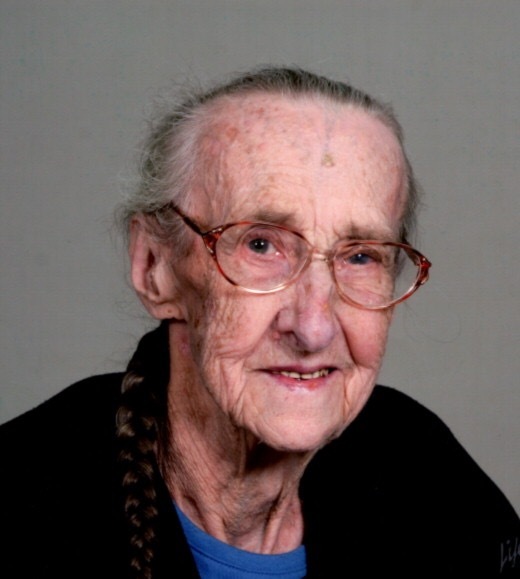 Regina Kathryn Klecker, 92, Litomysl (most recently of Medford Senior Care), died March 16, 2019. Mass of Christian Burial is set for Thursday, March 21, 2019 at 10:30 am at Holy Trinity Catholic Church at Litomysl. Friends may greet the family on Wednesday, March 20, 2019 from 4:00 - 7:00 pm at Brick - Meger Funeral Home and one hour prior to the funeral liturgy on Thursday. A parish rosary will be recited at 3:45 pm on Wednesday at the funeral hone. Regina was born on her families farm on September 17, 1926 in Johnsburg, MN, the daughter of John and Susie Weber. Regina attended country school in Stacyville, Iowa. She was united in marriage to Frank Felix Klecker on November 5, 1952, at the Catholic Church in Johnsburg, MN. The couple farmed on Frank’s family farm in Litomysl, MN raising seven children. Regina worked in all aspects of the farm as well as a homemaker. She loved raising chickens, rabbits, ducks, pigs, cows and cats. She was a member of Holy Trinity Catholic Church in Litomysl, and the Guild. Her life interests include gardening, canning, cooking, baking, old time music (especially The Klecker Band), dancing, playing cards, puzzle books, crocheting, and quilting for the missions and the County Nurse. Her greatest joy in life was being with her children, grandchildren and great-grandchildren. She will be remembered as a kind gentle lady and was a example of hard work and generosity and will be greatly missed by her family. Regina is survived by her children: Beverly Anderson (John Gerold) of Medford, Duane (Debbie) of Owatonna, George of Blooming Prairie, Earl (Cheri) of Amboy, Clara (Gary D.) Miller of Owatonna, Allen (Thérése) of Andover, Harold (Nancy) of Geneva. 48 Grandchildren, 50 Great Grandchildren, many nieces and nephews, Merle Anderson, and Sisters-in-law Libbie Miller and Marie Warner. She is preceded in death by her husband Frank in 1993, daughter-in-law Theresa, sister Irene, brothers Edward, Raymond, and Artie.